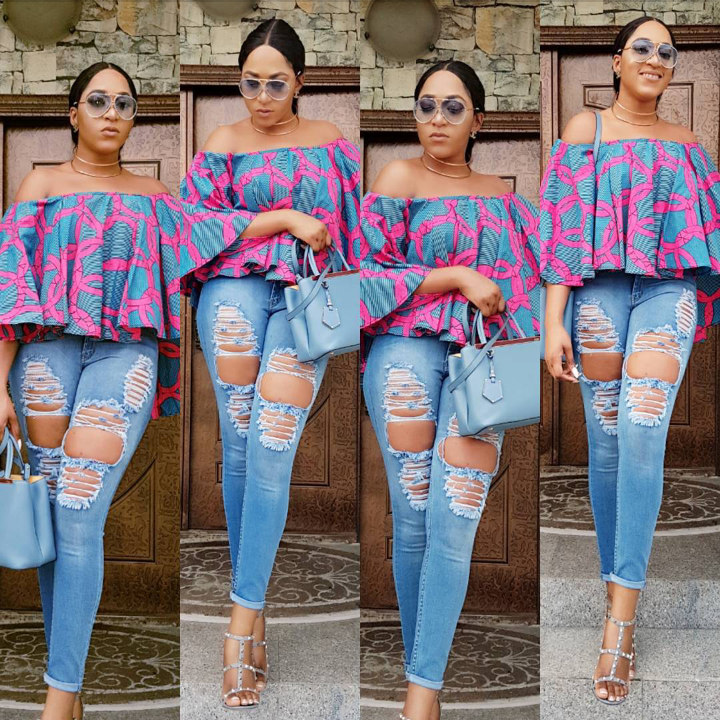 Rukky Sanda looking lovely on this off shoulder ankara blouse and ripped jeans with matching bag and high heel sandals. Her shoulder is gorgeous, favourite off shoulder look so far. I say Yay what do you say?